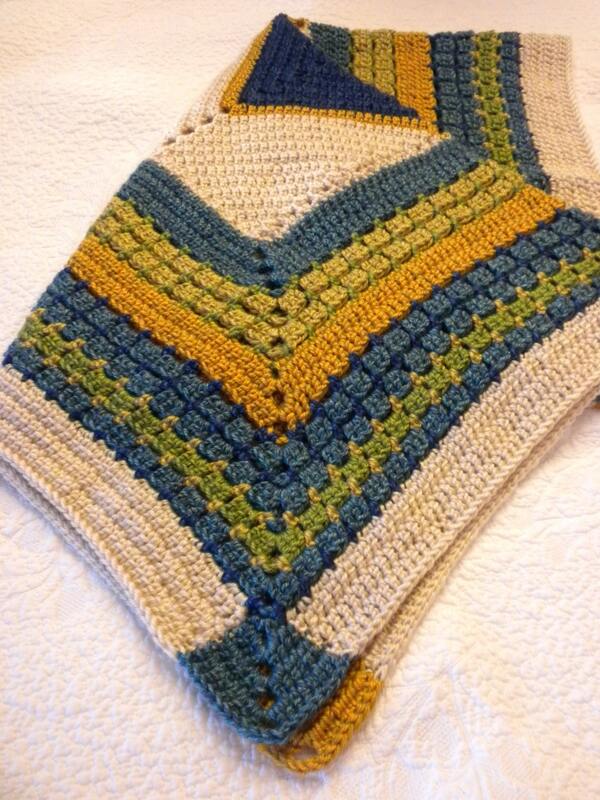 This stunning handmade crochet baby blanket features jewel- and earth-tone blues, greens, yellows, and neutrals. It measures about 31" by 35" and is made of soft and silky acrylic yarn. This blanket is perfect for a baby or small child, or it can also be used as a decorative accent piece or wall hanging. Darling, soft cap. Well made and perky colors! If you are unsatisfied with your item for any reason, please contact me through Etsy, and I would be glad to provide you with a postage-paid envelope for return or exchange. I value your feedback, and I appreciate your reviews and referrals on Etsy!